One of the elders of our church used to work for Social Security. The other day he told me about how Social Security absorbed the administration of state-run disability benefits. 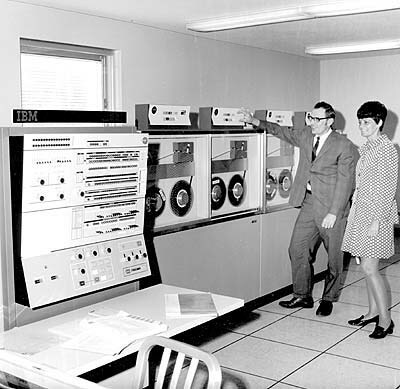 To streamline the process, they sought to automate the system through the use of computers. An outside vendor was brought in to pitch a system which could handle the massive load. The only problem was that the vendor didn’t actually have the technology they sold. The demo unit they brought to their presentations was nothing but a metal box equipped with a very impressing array of buttons and flashing lights. The vendor believed that if they could just get the money from Social Security first, they would be able to produce the promised equipment. The decision makers at Social Security had little knowledge of computer systems but didn’t want to admit this fact so they went with the vendor. This interplay between pride and deception brings to mind the old fable of the “Emperor’s New Clothes.” Except in this case more was at stake than a leader’s public image. Millions of dollars of taxpayer money was lost through the debacle. This story makes me think of the various worldviews that exist. So many promise much but deliver little. When people decide what to believe about reality (and it is a decision), perhaps they should consider a worldview that has proven effective. Check out these observations made about Christianity by an economist raised in an atheist state. I’m not saying we should choose a belief system simply because it works. I’m saying that if it works when nothing else does, perhaps a greater Mind was indeed behind its inception. In this election year, how should Christians react to the government? What involvement should we have? Acts 12 has some answers. The gospel making headlines, you know, like it tends to do when unleashed.